It’s not often that a Korean drama would mix horror and supernatural elements with rom-com and medical themes, so I was intrigued to find out how the plot would unfold in Blood. I was far less intrigued when I noticed the cast and their less than impressive filmography. I was already going into it with doubt, and my doubts were proven right as Blood tries to be randomly comedic at times and overly dramatic throughout the rest. Adding to my disappointment, the entire plot is downright predictable, with faulty medical explanations, poor writing, and lackluster acting. The opening scene of Blood leads us through a war zone in fictitious Kochenia. 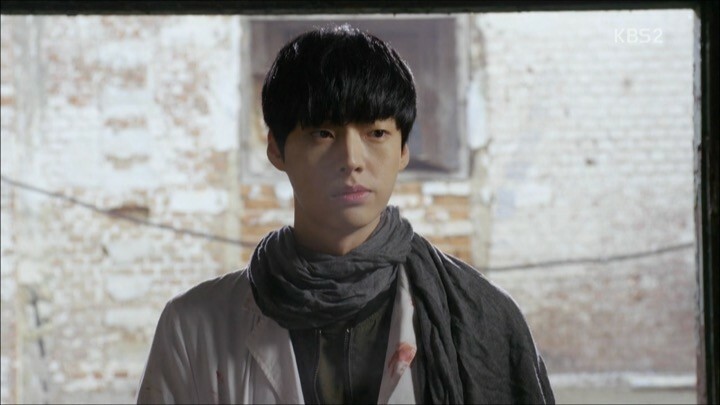 Here, a soldier tells our hero, Dr. Park Ji Sang (Ahn Jae Hyun), to get to a safer place. He defies the orders, knowing a little girl is still trapped inside and performs surgery on her. Just as Ji Sang finishes, a group of rebels comes in and starts shooting at him. He then transforms into his vampire form and kills them. This scene is supposed to be an over-the-top, dramatic reveal of Ji Sang’s powers, but unfortunately the use of slow-motion unnecessarily cheapens the drama. Then, in a flashback of Ji Sang’s past, we learn that he’s infected with the VBT-01 virus passed onto him from his parents. 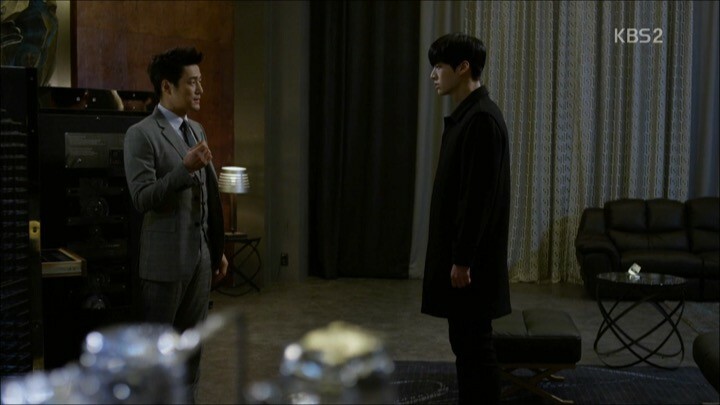 Ji Sang’s parents are being hounded by the main antagonist of the drama, Lee Jae Wook (Ji Jin Hee), who was once their colleague on the same research team. 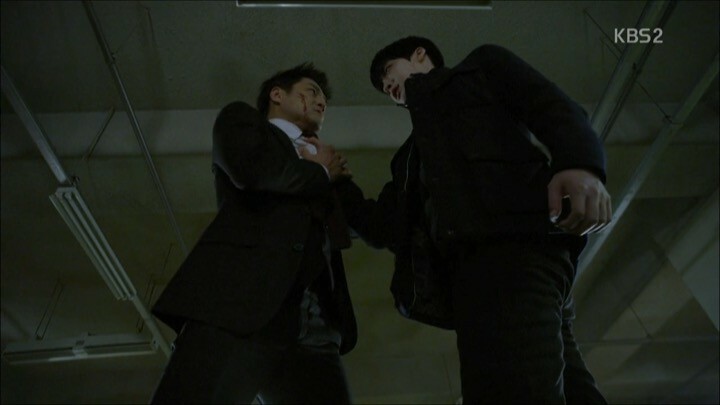 Jae Wook cruelly kills them over disagreement on the use of the virus. I feel sorry for Ji Sang knowing that he will have to face this ambitious and heartless enemy later on. Ji Sang manages to escape with a video of his mother explaining his situation and important data leading back to Taemin Cancer Center. Now it is up to him to find the cure that his parents couldn’t. Back to the present, Ji Sang has become a doctor through his passion for saving people. He ends up working at Taemin Cancer Center to gain access to their database and continues looking for answers. Similarly, Jae Wook is now a director at the same hospital. 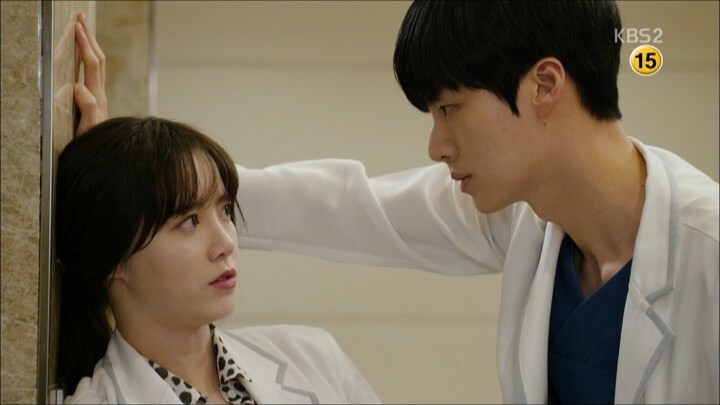 Upon arriving, Ji Sang and his colleague Yoo Ri Ta (Ku Hye Sun) immediately begin to quarrel about a surgery method Ji Sang is sure won’t work. Lo and behold, in a classic Korean drama way, our hero saves the day after Ri Ta’s approach fails. Ji Sang finishes the surgery for her, further inciting the feud they have. Beyond the interesting supernatural concept, the first few episodes haven’t been exactly promising. They’re a rather slow build-up to what will become a cliche superhero storyline where one side wants to unleash the virus against humanity and the other side fervently tries to prevent it. These next few episodes only add to the confusion and list of questions I have with the slow progress in the story. The only new information we get is that everyone at Taemin Hospital from the chairman down to regular doctors all seem to have their own personal agenda. 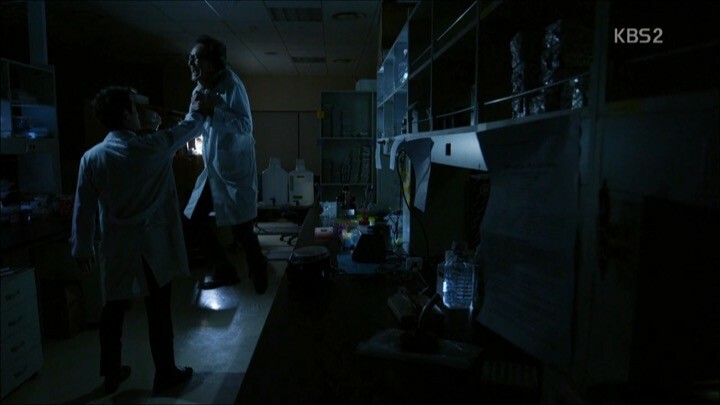 The drama also makes it fairly obvious that Jae Wook is running illegal experiments on patients but no one else seems to have caught onto it yet. His evil goal is to create other infected, and nothing will stop him. The couple pull me out of the moment thanks to their overly exaggerated acting. Meanwhile, Ji Sang and Ri Ta’s relationship begins to evolve beyond the initial hostility towards each other. 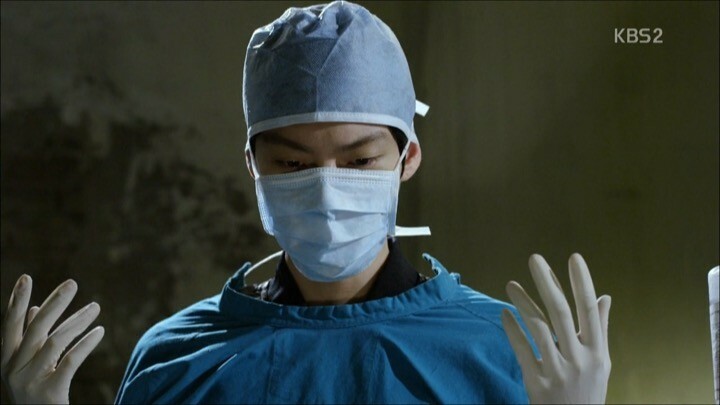 Ri Ta notices more of the unusual things about Ji Sang, such as his cold body temperature, his self-healing abilities, and his mysterious disappearances often during surgery. However, their interactions are largely unnatural and pull me out of the moment thanks to the overly exaggerated actions and expressions. As I watch on, the acting only gets increasingly worse with no sign of improvement, so it becomes harder and harder to buy the hatching romance that Blood is trying to sell. Also, I have to ask the writers: is it so hard to write a romantic relationship without having our leads bicker until one day they suddenly realize that they’re meant to be? 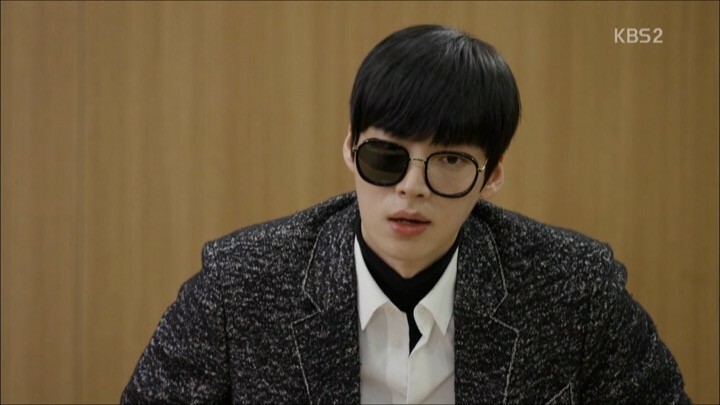 On the other hand, Ji Sang is also becoming more susceptible to the presence of blood as the pills he uses to control his vampire side are gradually losing their effect. He’s quite upset about growing stronger as a vampire because he simply wants to be a normal human. This is where Ji Sang and Jae Wook differ drastically in their point of view, as Jae Wook couldn’t be happier living as an infected, or a “superior being” as he calls it. Still, the non-persuastive acting make it hard to sympathize with either character. The actors seem to be trying too hard to be convincing at times, so instead of falling deeper into the story, I end up only focusing on their unrealistic performances. In this set of episodes, there are crucial advancements in Blood‘s main storyline as well as key identity revelations from our characters to one another. However, it’s executed in a surprisingly messy way. The source of distraction is that when our heroes get one step closer to solving a mystery, another one crops up without the previous one being fully addressed. 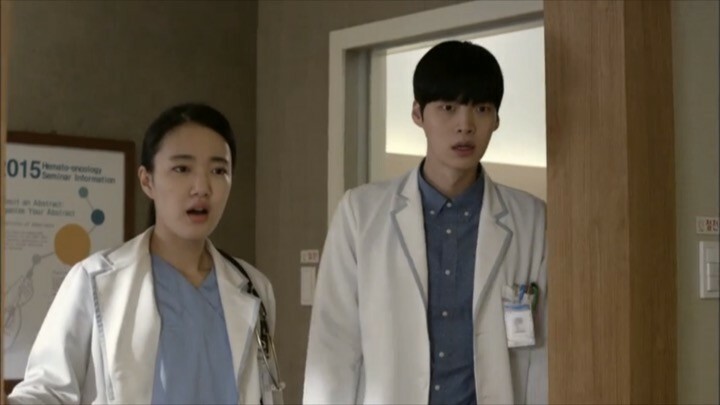 As an example, we vaguely learn that Jae Wook forcefully transfers a patient to his Ward 21A, but the reasons didn’t get fully explained until much later. For now, we’re supposed to be on the edge of our seats waiting to uncover the mysteries surrounding Jae Wook and the hospital. In another case, the chairman of the hospital increases the security of Ward 21A and begins to restrict information the doctors previously had access to. These are the most obvious signs that something fishy is going on there. Yet I find it unrealistic and difficult to believe that other patients and doctors beyond the main cast don’t seem to be affected at all by the mayhem going down at Ward 21A. Because Blood piles on too many loose ends at once, it feels chaotic and even frustrating for me to follow along. 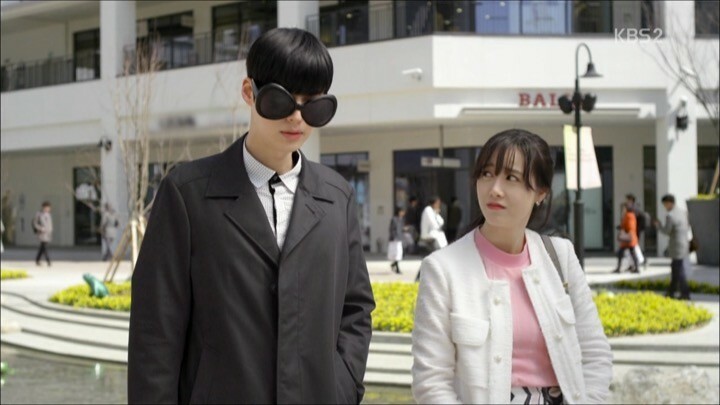 On a separate note, the drama also tries to take on too many personalities at once: humorous, suspenseful, and romantic. Yet it falls short of delivering any one of those flavors well and just ends up being a hodgepodge of incongruent emotions. 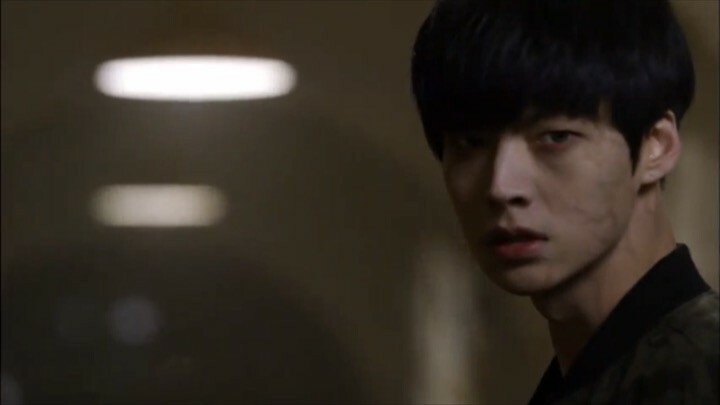 The storyline of Blood is building towards Jae Wook’s intentions of performing experiments on patients. But when we finally get our answers of why he’s doing this, accompanied by an explanation of his past, it’s lackluster and predictable. Blood has been already testing me with its poor acting and writing, so I was hoping that at least Jae Wook’s reason would be interesting. Unfortunately, it’s not. I can’t even bring myself to say that I’m disappointed because after the ten previous episodes, it fits right in with the rest of the cliche plot. Meanwhile, the research for the cure is being explained slowly while Ji Sang and Ri Ta continue to flirt awkwardly. Blood tries to revive my interest by teasing that something huge and impressive is in the making. But after everything I’ve seen, I’m beginning to dread that perhaps nothing in this drama will impress or excite me. 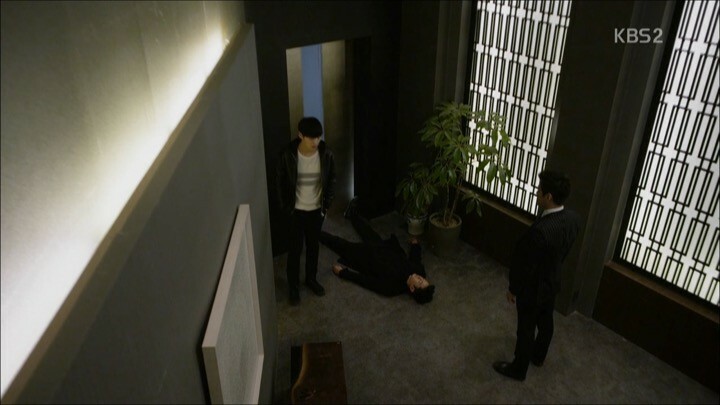 In these episodes of Blood, Ji Sang finally makes some small progress in his fight against Jae Wook, but we know this is hardly the end. As Ji Sang and Jae Wook make childish jabs at each other, the storyline becomes a repetitive bore around their silly games and no major plot advancement is truly being brought to light. One of the major culprits of the slow pacing is that stretching the drama to twenty episodes is far too much. Sixteen episodes would have been sufficient, if not removed, the unnecessary fillers of the drama. Stretching the drama to twenty episodes is far too much. On the other hand, Ji Sang and Ri Ta also take their relationship to the next level. But just like the main storyline, it’s slow, awkward, and frankly, didn’t add much sizzle to the drama. We’ve reached the end, and what can I say other than that I was simply waiting for Blood to end? Through these unproductive episodes filled with random medical explanations that don’t make sense and illegal hospital procedures, I feel like I’ve gleaned little. The ending is no better, only this time, someone unnecessarily dies. But the epitome of poor writing comes during the last episode, in the form of a twist ending that’s meant to be intriguing. But instead, it turns out to be something so absurd and unreasonable that it ultimately annoyed me down to the last minute of the drama. I started watching Blood without much expectations for it, and it proved me right with its poor execution. The drama suffered a slow pacing and unnatural acting throughout, only to be sped up abruptly at the end in attempt to tie up loose ends. Overall, it becomes a rather insignificant drama among the many that I have watched. I really cried hard because of this drama. It’s no bad at all. Others might get annoyed with this drama, but actually, it’s one of my favorites! They’ve done it so well. This really inspire me of becoming a surgeon someday. I enjoyed this drama and I especially love the scenes when they are doing surgery. The actor of Park Ji Sang was so good with his hands you’d think that he is doing that everyday! It’s not a typical kdrama but I say it’s a well-played drama. I agree with the rating.. I stopped watching after episode 3. I really liked the drama and the characters. This review is biased. I watched the drama twice! AhnGoo is my favorite couple now. I think the ending wasn’t absurd, but symbolic, because Ji Samg wasn’t resurrected or reincarnated—it wasn’t Ji Sang at all, but someone else, another Kochenian vampire, but because he helped her from a “pack” of creatures like Ji Sang did, he reminded her of him, and she felt as if they were “meeting again”. I liked the drama myself but I do not like the way that it had ended. I get that some writers and directors like to have an open ending to let the viewers use their imagination but to me the ending of Blood was too vague and did not leave much to go on. I, myself would like to know if Ji Sang really died and resurrected somehow, or if he survived but was not strong enough to come back yet or if he is reincarnated? I like and i will support BLOOD anytime….what so ever will you say about Blood….as for me Blood is nice and good kdrama.. I loved the drama but I agree that there are many loose ends. I have many questions about the ending. How did Ji Sang survive? If he survived, why do they have to put that helipad scene? Why was Ri Ta so sad when she went to Kochenia if she knew that Ji sang was alive? Or maybe she did not know Ji sang was alive? How? Why? I’m so confused. I have watched this when it originally aired and twice since. I loved it. I don’t understand why anyone finds it confusing and I think the actors were good. It won awards for a reason. I love Boys Over Flowers as well. I have not decided if I like the Korean or the Japanese version better. I feel like the korean version though expresses how the main male lead and the main female lead fell in love. It puts more detail to it. Though in some shows it seems like it dragging along. Either way its a good Korean Drama. You should look up “Cinderella and Four knights” You would enjoy it. We love Kdrama BLOOD so much…..hater and netizens sorry for you.